They want to take control of their future. They don’t want to work for somebody else. They want to work on their own terms. Going into business for yourself can be a great decision, but it can also be hard! It’s not just about working out an hourly rate and putting your shingle out. Just because you have an ABN and your idea, doesn’t mean work will just come. So you’ve decided to quit your job and go into business for yourself. Firstly, good on you for making the decision to take control of your own future. I’ve been in business for 15+ years, have a husband who works full time, and two young boys. So I’m super busy – just the way I like it! Everybody’s different though, so before you take the plunge there are many things to consider. How much cash reserves do you need while in start-up stage? How long will it take you do get steady work to replace your wage? Do you need to work part time before taking the plunge full time into your business? Have you thought about what will happen if you fall sick or want to take holidays? Have you thought about your business structure? Have you spoken to an accountant? Are you going to register for GST, PAYG, etc? Will you need to register a business name? Do you need to develop a website? What record keeping and accounting systems will you use? Will you be hiring staff or subcontractors? What insurances do you need to carry? What registrations, permits or licences do you need to have? Who will you purchase stock from and how much stock do you need to carry? Have you thought about your client base? Are you going to specialise? Is your business idea sustainable? How will you manage in a downturn? What’s going to make you stand out in a crowded market? As far as your rate goes there are many things to consider. Do a cash flow / break even analysis. Work backwards and put all of your business expenses in first. If you’re the sole earner for the family, put in all your personal expenses, consider any reduction you may receive from Centrelink (if you’re receiving anything), and don’t forget to factor in your tax obligations (cash flow) and any superannuation that you may want to contribute for yourself. This will tell you how much you need to earn. Do it over the year which makes it easier to break down to a month/week, etc. It’s a great idea to work this out in a program such as Microsoft Excel with some formulas to tweak for different scenarios. Now you know how much you need to earn to break even, add what you want to have on top of that – I’m sure you’d like some monetary reward for your efforts! Say you’re starting a cleaning business, no staff or subcontractors, based from home. You’ve worked out you need to earn $1500 per week to cover expenses and profit – that’s $300/day (you still want a weekend, right?). How many jobs can you do in a day? Say you need three jobs per day, so you need to earn $100/job and based on this you’d need 15 regular jobs per week paying $100/job. Don’t forget to factor in travel time, time to market and take care of the books, and factor in client changes or cancellations and other unexpected things that will invariably pop up. 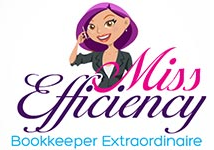 As a professional bookkeeper, I have seen many clients who are really good at something or are passionate about something so go into business. Unfortunately passion isn’t always enough. It doesn’t matter how good a cleaner, hairdresser, painter, plumber you are; you’ve got to be a good business person too. Here’s how we can help you. So do your homework, get all your facts and figures, speak with your accountant and have some real and clear expectations. This could be the best decision you ever make!